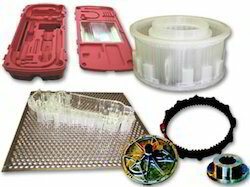 Solution 4 U provides Rapid Prototyping services to meet the exact demands of our clients. Our expert supervisors lay extreme focus on the implementation of new ideas and methodologies to carry out rapid prototyping services. We are immensely appreciated and accepted in the industry for providing reliable and quick services. A Proto Type Services is an early sample, model or release of a product built to test a concept or process or to act as a thing to be replicated or learned from. A prototype is designed to test and trial a new design to enhance precision by system analysts and users. Prototyping serves to provide specifications for a real, working system rather than a theoretical one. Looking for Proto Type Services ?